The 21st CiCea Conference (2019): “Europe at a Crossroads: Rights, Values and Identity” Call for Papers is now ACTIVE! Find out more about the conference, important dates, and submission policies here! SUBMISSION DEADLINE EXTENDED - NEW SUBMISSION DEADLINE 15 JANUARY 2019. Nominations for President-elect now open! 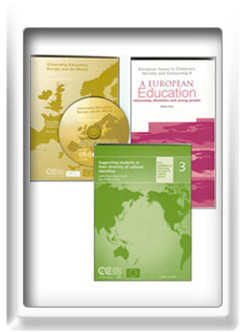 CiCea is the Association focusing on citizenship education and identity formation in young people in Europe and the world. It is a dynamic and fast-expanding group of academics from across Europe, all engaged in research and scholarship on young people's social learning and their construction of identities. We've formed this Association after many of us have worked together on a European Commission Erasmus Academic Network project, 'Children's Identity and Citizenship in Europe (CiCe)' since 1998. This project had only Higher Education institution members. While having started out as an Erasmus project, it later became a Jean Monnet Network project. It also had its own Website. Our Association has individual and institutional members, and an elected, independent Executive and Board of Directors. 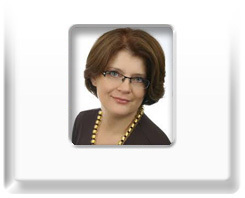 Beata Krzywosz-Rynkiewicz, of the University of Warmia and Mazury, Poland is President of the CiCe Association as of October 1st, 2018. 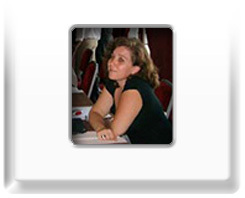 Despina Karakatsani, of the University of the Peloponnese, is Immediate Past-President as of October 1st 2018. 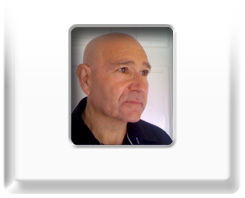 Henry Maitles, of the University of the West of Scotland, is the Former Past President as of October 1st, 2016. 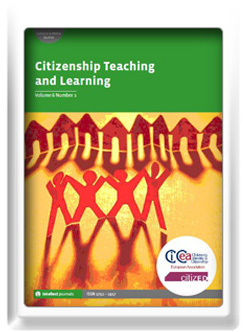 Citizenship Teaching and Learning is our academic referred journal, with material of citizenship education from all over the world. Produced three times a year, and published by the academic publishers Intellect, this is the essential journal for all academics in the field! Online access is available to all our members either Individual or Institutional. See our Publications pages for details. CiCea Occasional Working Papers Series is our newly established academic peer-reviewed online publication. All members are eligible to submit their manuscripts for peer-review. It will be produced annually and may be increased to twice a year depending on submission volume. Manuscript preparation details are the same as those used for our journal and may be accessed here whereas all communication regarding the Working Papers are to be directed to the Working Papers Editor here. A separate page is currently under development on the Association website where the CiCea Occasional Papers Series will be hosted under the Papers pages. we've set up eight European Research Centres scattered across Europe - Association members can book individual study places, or group research meetings, with hosts who will help access your accommodation requirements and local education establishments for research purposes. Members get an illustrated catalogue of the Centres at the beginning of the year/when they join! See our News pages for details. each year we run a Research Support Grant scheme, where we make supplementary funding available to help groups of members in collaborative research projects. Details of when and how to apply - and handy tips on making research funding applications - appear here on the Association's website. See our Activities pages for details. each year beginning in 2011 we organise Best Publications Awards for the best research and practice publications of the previous year, authored by CiCea members. The first awards for the BEST PUBLICATIONS were held for 2010. Details of when and how to apply for the annual Best Publications Awards appear here on the Association's website. See our Activities pages for details. each year beginning in 2011 we nominate and recognise the outstanding achievement in the area of Citizenship and Identity, of a single CiCea member. The first award for the OUTSTANDING ACHIEVEMENT was for 2010. Details on the awardees for the annual Outstanding Achievement Awardees appear here on the Association's website. See our News pages for details. members are eligible for a substantial reduction in the fees for our annual conference*. The 2019 conference which is our 21st International Conference will be held in Prague, Czech Republic in the second week of May. See our Organisation/Meetings pages for details. * note that unfortunately European Universities who were members of the European Commission's CiCe Jean Monnet Network may not be eligible for reduced conference charges unless they are also members of either CiCea or CitizED. From 2008 thru 2015 members received our Newsletter, packed with news of activities, conferences, publications and research opportunities. (Last issue: 37 Jan-Mar 2015). See our Publications pages for all previous Newsletters. In late Fall of 2018, the CiCea Newsletter will be relaunched and be published several times a year. all members can stand for election - as President or Executive Members. Institutional members get a larger block vote. Our next election process begins in the latter part of Fall of 2018 for new President (for six years from October 2020). Only Association members can stand and can vote. See our Organisation/Meetings pages for details.